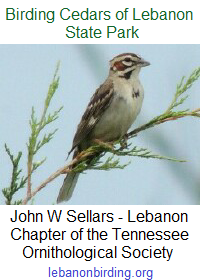 The Friends of Cedars of Lebanon State Park wish to thank the hard-working scouts from Lebanon’s Cub Scout troop 148. The scouts and scout leaders, along with Interpretive Ranger Sarah Geeslin and Park Ranger Shauna Bridgers gathered Saturday morning, 9 August 2014 at Cedars of Lebanon State Park. They split into two groups, one to shovel and spread gravel on the trailhead, and the other to cut and clear vegetation from the Dixon Merritt Trail. These guys are hard workers and completed their tasks despite the hot, muggy conditions that morning! The following photos were taken by Angela Maxwell and Geri Tomerlin. After the work was done, the Friends of Cedars of Lebanon State Park treated the crew to lunch. Friends members Marc & Glenda graciously welcomed all to their campsite where they cooked hotdogs with all the fixin’s.